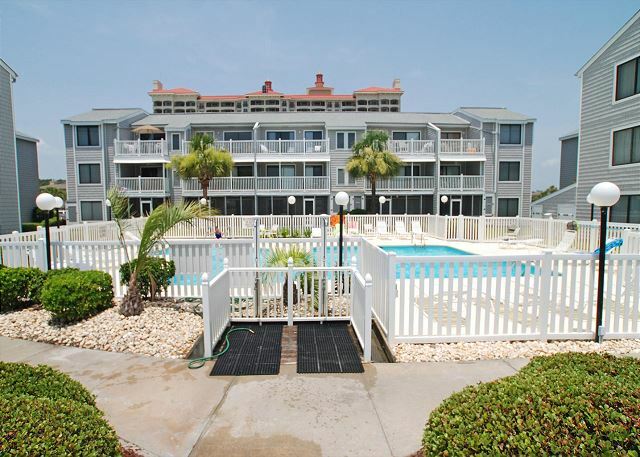 Sea Cloisters II is located in the Ocean Drive/Cherry Grove section of North Myrtle Beach. You will find this 3-story beach retreat is in a secluded setting and is a perfect place for couples and families to relax and play or just lounge by the ocean front pool. 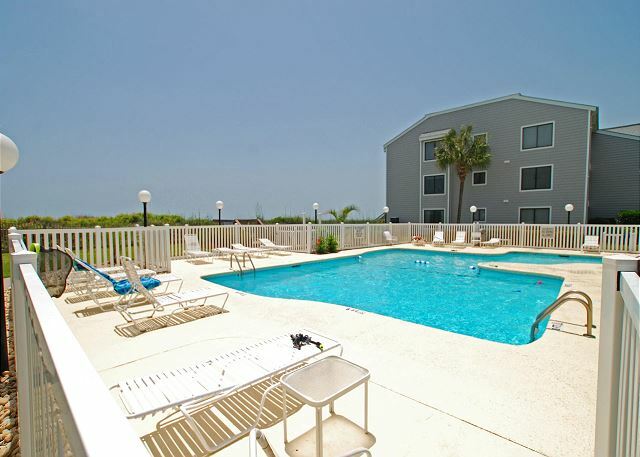 This first floor 2 bedroom/ 2 bath ocean view condo features a fully equipped kitchen, DW, washer/dryer, WiFi, The Movie Channel & Showtime, 3 flat screen HDTV & 3 Blu-Ray player, and a private screen porch with easy access to the pool and beach. Family attractions, golf & miniature golf, amusement park, water sports & fishing are all in close proximity to the Sea Cloisters. Linen Packages Available. We rent strictly to families and mature persons over the age of 24. McMillan Real Estate, Inc cannot rent to teenage or college age groups, even if accompanied by an older chaperone. House party groups are NOT allowed. Should a house party attempt to occupy a property, they will be denied entrance or evicted, with no refund. Properties are privately owned and reflect the individual tastes of the owner. Saturday to Saturday - Weekly Rentals Only. Linen Packages Available. No Smoking allowed in Unit, balcony, or on either side of entrance. No Pets, Boats, Motorcycles, Golf Carts, Trailers, or RV's allowed. No Elevator.